Fancy one last blast before Christmas? Join other local dinghy sailors at Hayling Island SC for their annual Christmas Cracker Pursuit Race on Sunday 23 December. K6, RS Elite, X boat, Swallow, Sunbeam, Hawk, Star, Yngling. Other classes may be accepted at the discretion of the organizing authority. 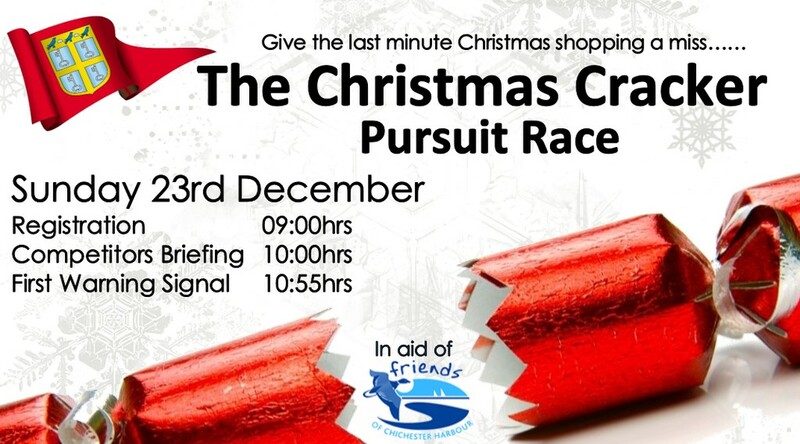 Registration will be from 09:00 hrs on Sunday 23 December with a competitors briefing at 10:00 hrs. The scheduled time of the warning signal for the race is 10:55 hrs.